Driver’s meeting for everyone who couldn’t show up on time is at 11:30AM. Tech will be open from 8AM-Noon. Your car must pass through tech before you can get on track. All rules must be met, no more exceptions. The rules can be found here: 2013 Rules. It is $160 to drive for the day. Use the button below to register to drive. Make sure to include all required information. Registration is open from now until Wednesday, April 24th at midnight. No late registrations will be accepted. We will just take your money and spend on something fun. So get your payment in before the deadline. Any issues with payment email Club Loose. It is $15 to spectate for the day. Pay at the gate. Registration can be cancelled up to 3 days before the event. After that, registration can only be transferred to another event as long as notice is sent to Club Loose no later than 6PM the night before the event. And finally, remember to tag your Instagram posts of you getting ready for the track or working on your car or driving at the track with #godrifting. And then visit Go Drifting or Go to Hell! to see what everyone else is up to. 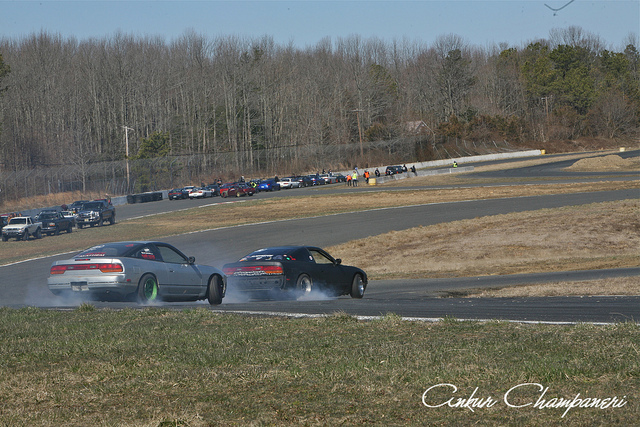 Next Post Friday Night Drift Party!